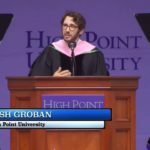 HIGH POINT, N.C., Jan. 8, 2018 – Josh Groban, internationally acclaimed singer, songwriter and actor whose baritone voice is instantly recognizable, will deliver High Point University’s Commencement address on May 5. 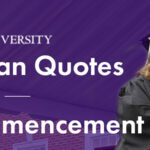 While Commencement is a private event for HPU graduates and their family members, it will be streamed live at www.highpoint.edu/live. 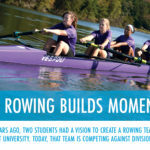 CLICK HEREif you want to attend a university that attracts global leaders! 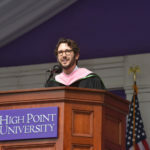 Groban becomes part of an extraordinary lineup of HPU Commencement Speakers, including Wolf Blitzer, CNN’s lead political anchor and anchor of “The Situation Room”; former Secretary of State Condoleezza Rice; broadcast legend Tom Brokaw; Gen. Colin Powell, former Secretary of State, chairman of the Joint Chiefs of Staff and national security advisor; former First Lady Laura Bush; U.S. Supreme Court Justice Clarence Thomas; Steve Wozniak, co-founder of Apple; Rudy Giuliani, former New York City Mayor; Her Majesty Queen Noor of Jordan; NASA Astronaut Dr. Buzz Aldrin; and Muhtar Kent, CEO of the Coca-Cola Company. Possessing one of the most outstanding and instantly recognizable voices in music, singer, songwriter, and actor Josh Groban has entertained fans across the globe with his multiplatinum albums and DVDs (over 30 million sold worldwide), electrifying live performances, and comedic film and television appearances. The 35-year-old Los Angeles native is the only artist who has had two albums appear on the Top 20 Best-Selling Albums list of the past decade, according to Billboard. 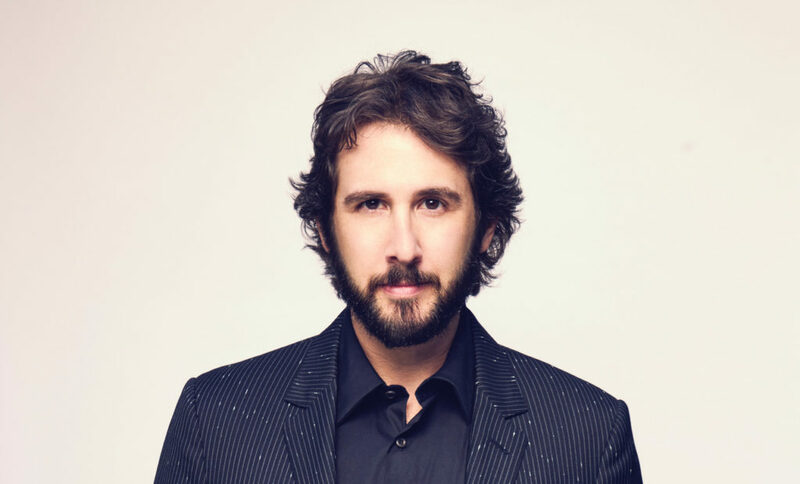 He has appeared in the feature films “Crazy, Stupid, Love,” “The Hollars,” “Coffee Town,” and “Muppets Most Wanted,” as well as on NBC’s “The Office,” FX’s “It’s Always Sunny in Philadelphia,” and CBS’ “The Crazy Ones.” Groban has released seven studio albums – his 2001 self-titled 5x-platinum debut, 2003’s 6x-platinum “Closer,” 2006’s double-platinum “Awake,” 2007’s 6x platinum Grammy-nominated “Noel,” 2010’s gold-certified “Illuminations,” and 2013’s gold-certified “All That Echoes,” which debuted at No. 1 on the Billboard Top 200 chart, giving Groban his first No. 1 debut and third chart-topper. Groban earned Grammy Award nominations for Best Traditional Pop Vocal Album for his 2015 album “Stages,” a collection of some of the greatest songs from musical theater, and 2016’s “Stages Live,” which featured performances recorded at the historic Los Angeles Theater for his all-new PBS special, “Josh Groban: Stages Live.” Over the summer, he embarked on an extensive North American tour to support “Stages,” entitled “Josh Groban: On Stage.” Also in 2016, Groban made his Broadway debut starring in the new musical “Natasha, Pierre & The Great Comet of 1812,” which opened to glowing reviews. 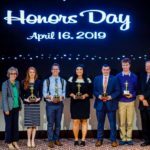 An active arts education philanthropist and advocate, Groban is a member of Americans for the Arts Artists Committee, and Groban’s Find Your Light Foundation helps enrich the lives of young people through arts, education and cultural awareness.